I'm almost finished the Lil' J's Baby Sophisticate cardigan. I finished knitting the sleeves, but need to weave in the ends on the right sleeve. Today, I'm planning on making the collar. Then I need to decide on buttons; I'm leaning towards black buttons, but I'll decide when it's finished. I'm a wee bit nervous that I won't have enough yarn to finish the project, so I'm definitely praying and hoping my worries are unfounded. Remember a few weeks ago when I wrote about not being able to find The Boxcar Children? I FINALLY found it and returned it to the library last night, but now I have a HUGE fine that I need to pay this week. I have a love-hate relationship with libraries. 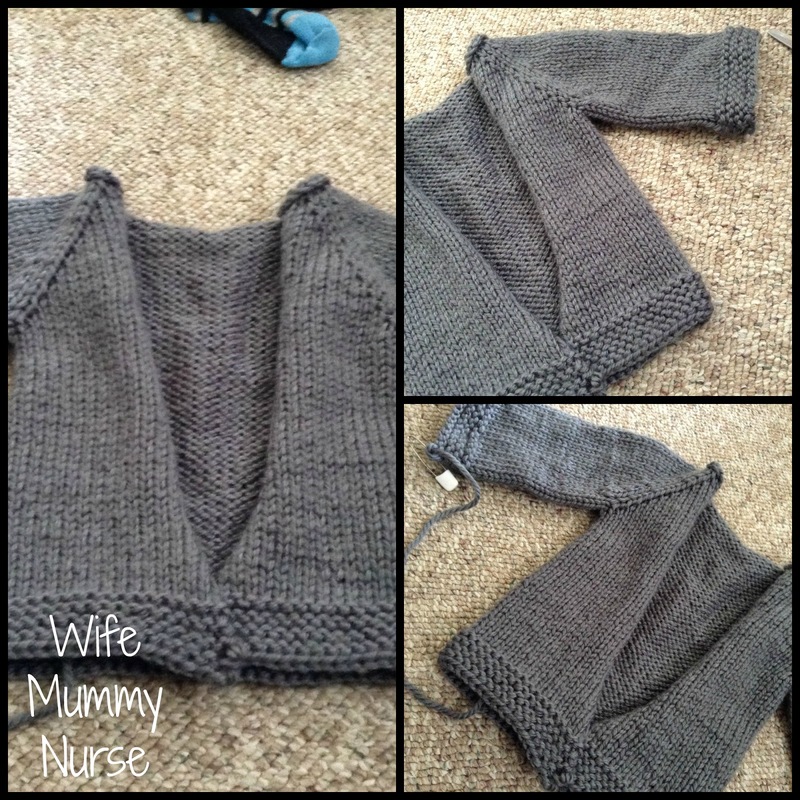 This is a really lovely cardigan! Please post a picture with buttons - I'd love to see the final result! How wonderful. It is coming along nicely. I second wanting to see the finial results! I hope you have enough yarn when I have that doubt I usually have enough, hope the same for you :) bummer about the fine but glad you found the book!! I So Beautiful Love Your Work Wish I Could Do This Thank You! Lovely cardigan, fingers crossed you have enough yarn. Beautiful cardigan :) If you run out of this yarn you can always find another color/texture that will go well with this one. I pinned a similar pattern to knit a cardigan for my little guy! 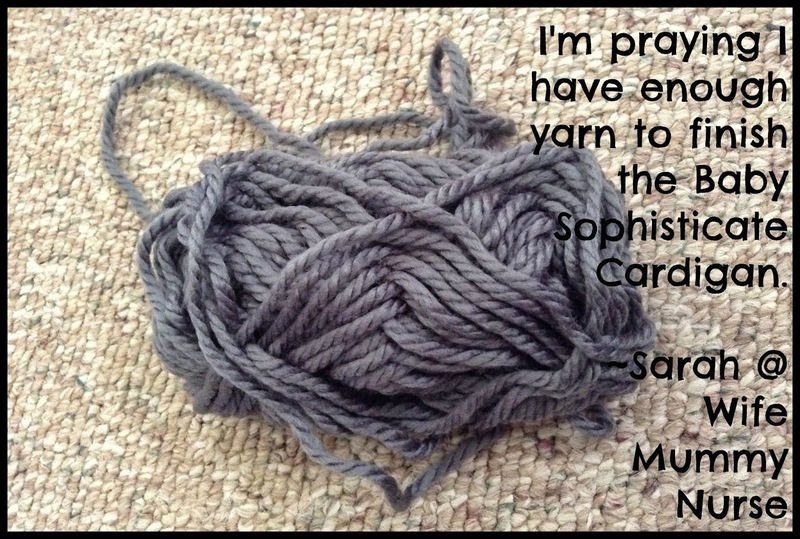 (haven't gotten around to it though), It looks great and I'm crossing my fingers that you'll have enough yarn!